Compress with F-Conn's FS and RG Series connectors. 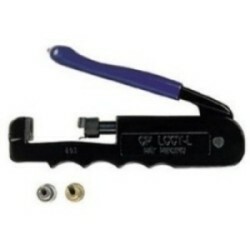 CPLCCT-SLM Linear Compliant Compression Tool is used in Pro A/V, Security, CATV and Commercial industries. Made in the USA.